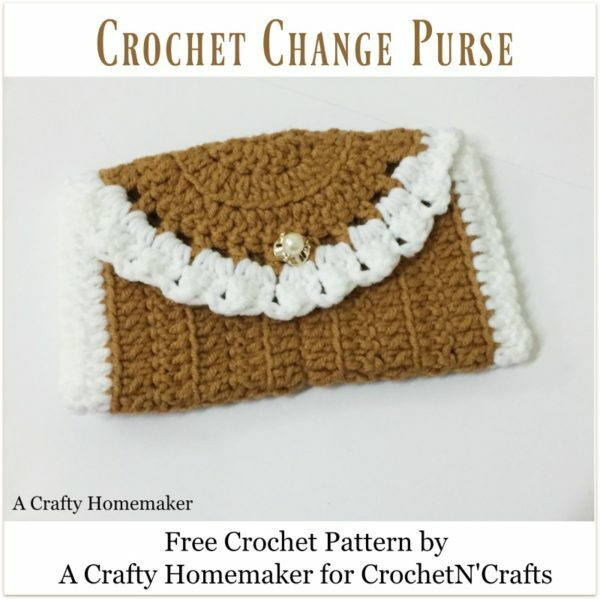 Today we have a free pattern for a crochet change purse by Lubna from A Crafty Homemaker. The finished size makes it great for keeping coins and other small items such as keys. It’s the perfect size for trips when you don’t have room for a big purse. Or, keep the small things handy and organized in your big purse. 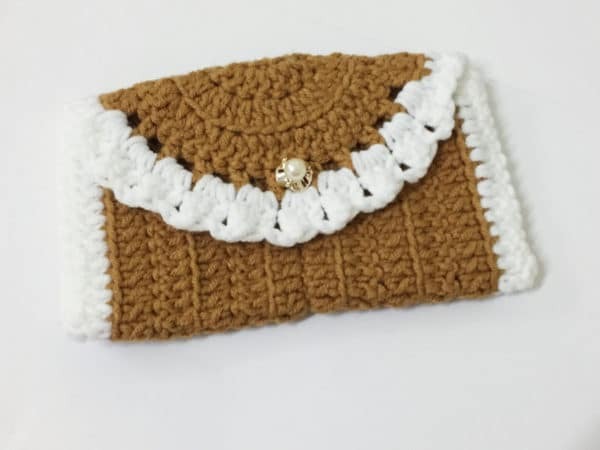 It’s a stylish little pouch and I especially love the pretty edging around the flap. Best of all, Lubna was kind enough to give us step-by-step pictures to make this a breeze for anyone to whip up. You might also enjoy this credit card case, or this little coin purse. This little wallet is perfect to store your cash and change when you head outdoors. Stuff it in your handbag or your jeans pocket – it fits everywhere. And the best part – it takes less than an hour to make it ( unless you have a toddler tugging at you every five minutes) ? 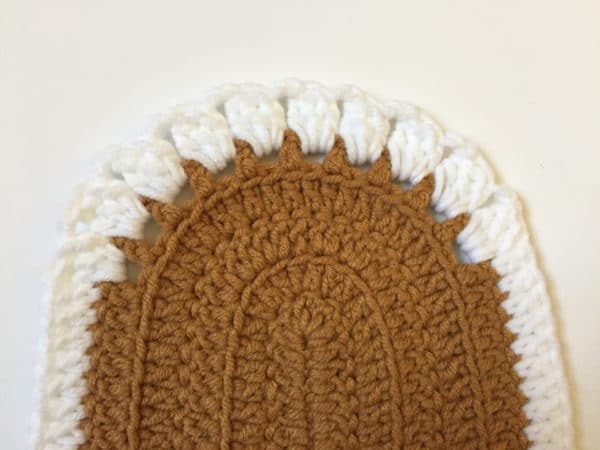 Puff stitch – 3 dc in space. Put hook into the top st of 1st and 3rd dc. 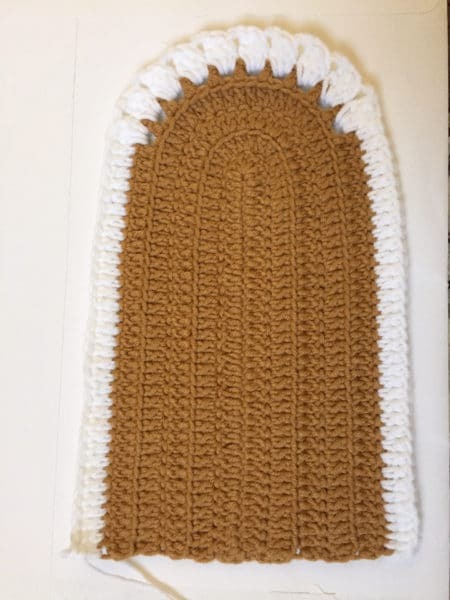 Yarn over and pull through both the loops. 3. Turn. Ch 2. Dc in the first dc of the previous line. Continue till the last stitch. ( 35 dc) 2 dc in the next st, 3 dc in the center st, 2 dc in the next. 6. Turn. Ch 2. Dc in each stitch till end of line ( 35 dc) * Ch 1, skip 1 st, 1 dc in the next * 10 times. Continue dc till the end. 7. Ch 2. Dc in each stitch (35 dc). * Puff stitch in space, ch 2 * 10 times. Continue dc till the end. 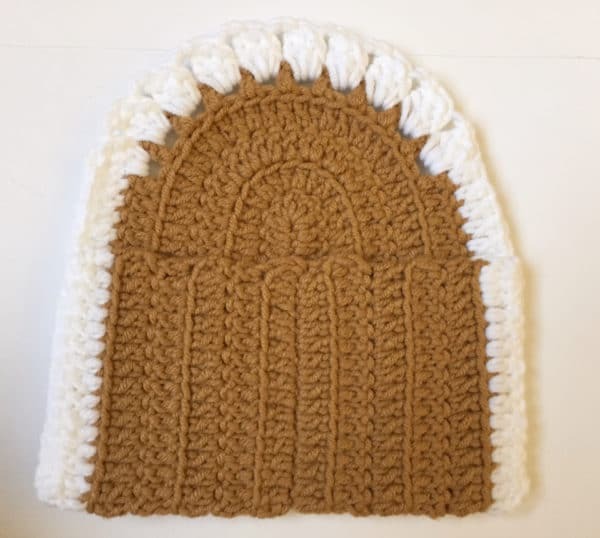 Fasten off and weave in ends with a needle. 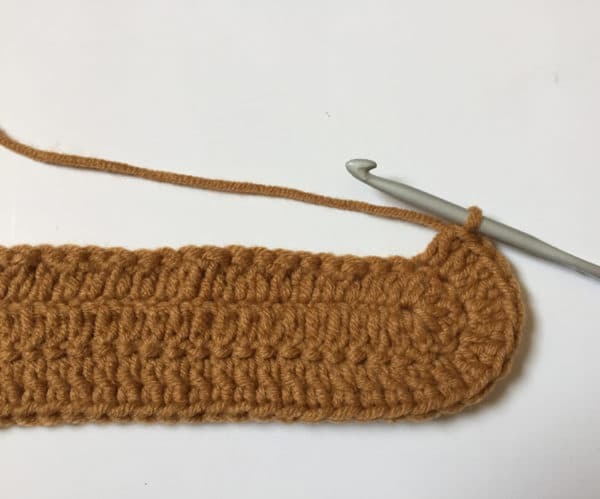 Now fold the wallet to make a pouch and sew the sides with white colored yarn. Attach a button to open and close the wallet.